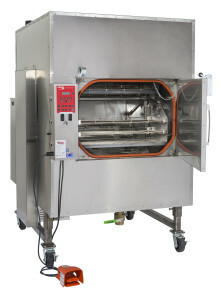 What are the Requirements for Venting Commercial Smoker Ovens? It must draw air naturally throughout the flue. Clean the flue every six (6) months. One (1) inch clearance from combustible materials. The flue should not have more than two (2) ninety-degree elbows in it and should not be longer than thirty (30) feet. 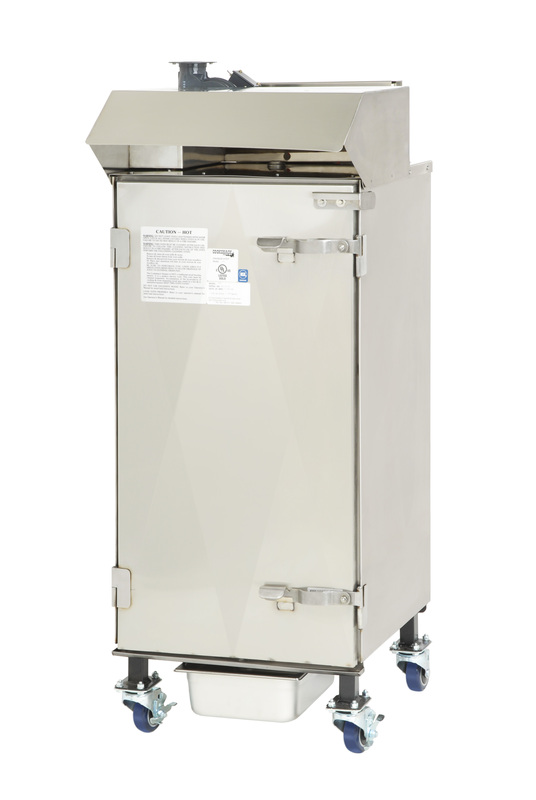 A Cookshack Smoke Evacuator can be used to remove the smoke from the Models FEC300SS, FEC500SS, and the FEC750SS. 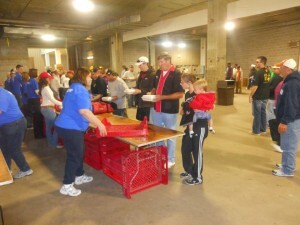 The evacuator consists of a set of louvers that open when the smoker doors are opened. It operates by drawing smoke from inside the oven and venting it out the top of the unit. 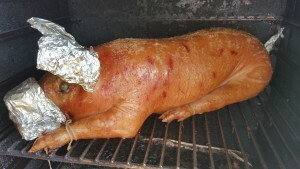 It requires a ten (10) inch pipe, minimum 24 gauge with mushroom type fan (minimum 280 cfm) mounted on the roof (not provided by Cookshack). Pipe needs three (3) inches of clearance from combustibles. 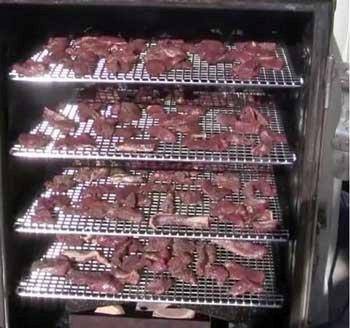 The fan must run on a separate electrical circuit from the smoker. 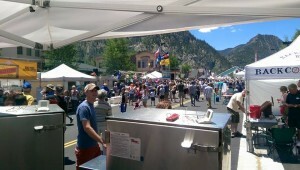 It is the customer’s responsibility to attach an updraft fan to the evacuator to remove the smoke from their building. 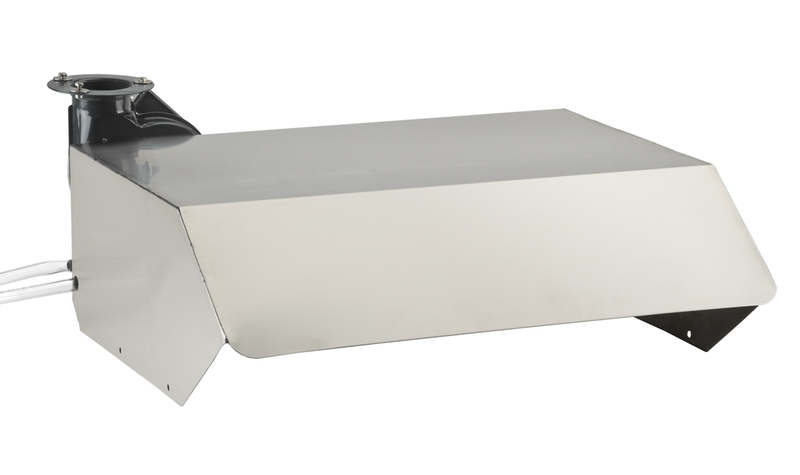 The Cookshack Flue Collector is a filtered flue hood that attaches to the flue system that sets over the exhaust tube on the smoker. Some fire marshals require this higher level of exhaust. 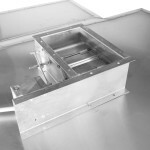 The Flue Collector is designed to remove more smoke, grease and ash. 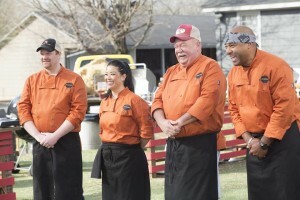 The Cookshack Part Number is PA005. This is intended for our Models FEC300SS, FEC500SS, and the FEC750SS. Install the optional Smokehood from Cookshack for Models FEC120 and FEC240 only. 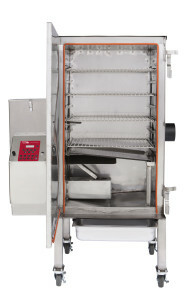 The stainless steel Smokehood incorporates a removable grease filter and an exhaust fan. It mounts directly on top of the smoker and removes the smoke vented during ordinary cooking. 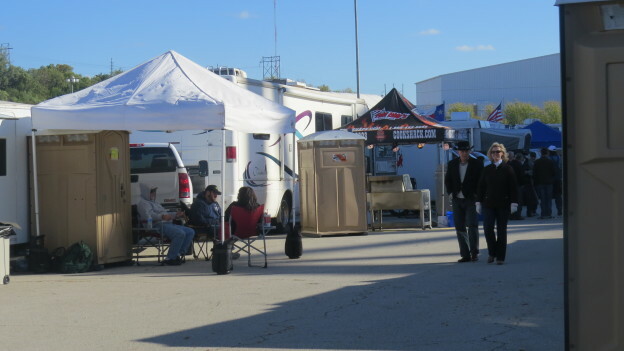 For any commercial pellet-fired smoker, adequate makeup air is required for safe operation. 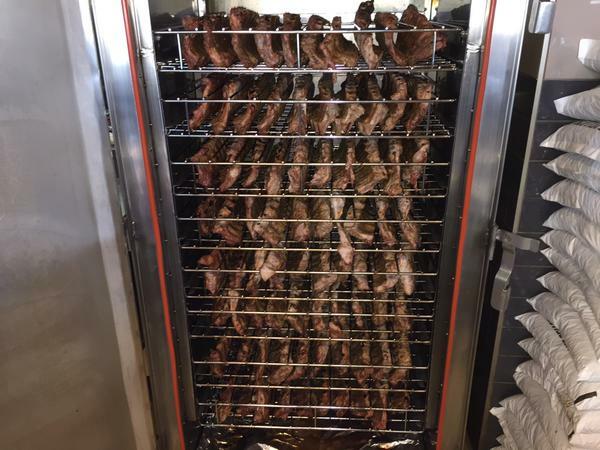 It is the responsibility of the smoker owner to maintain essential combustion air at all times during operation of the unit. 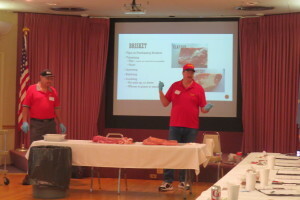 Cookshack recommends three (3) primary methods for venting. 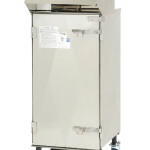 Place the smoker oven under a Class 1 or Class 2 hood. For specific details on a Class 2 hood, consult your local authorities. 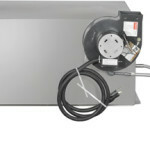 Some regions will have different regulations about hoods and venting. 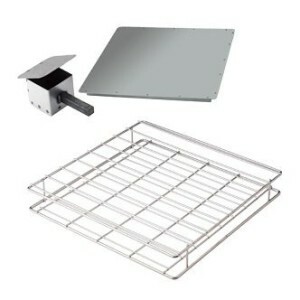 Direct vent the oven. 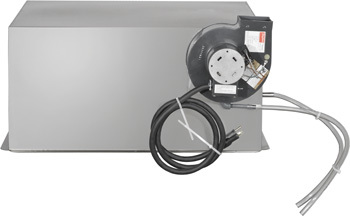 The oven can be direct vented by using a flue that is a minimum five (5) inches in diameter, type “L” pipe. It is to extend three (3) feet above the highest point where it passes through the roof. It also needs to be at least two 2 feet higher than any portion of the building within ten (10) feet or in accordance with state and local fire codes. A rain cap must be utilized on a flue exhaust. 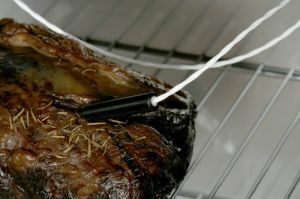 Install the optional Smokehood from Cookshack. 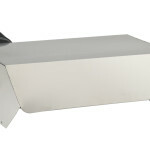 The stainless steel Smokehood incorporates a removable grease filter and an exhaust fan. 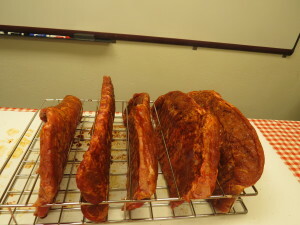 It mounts directly on top of the smoker and removes the smoke vented during ordinary cooking. 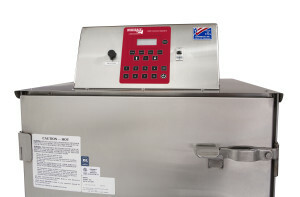 Smokehood part numbers PA001, PA002, PA003. 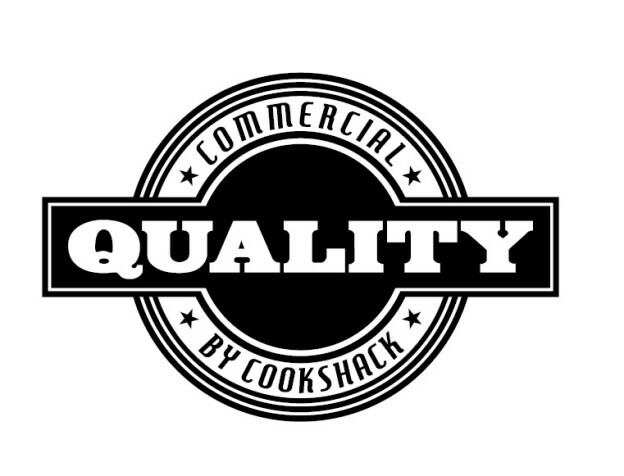 For additional information about Cookshack Commercial Smokers or venting requirements, call Cookshack at 1.800.423.0698. This entry was posted in FAQs and tagged barbecue, bbq, commercial, commercial smoker, Cookshack, customer service, exhaust system, Fast Eddy, flue, oven, Smokehood, smoker, ventilation, venting on February 18, 2015 by admin. 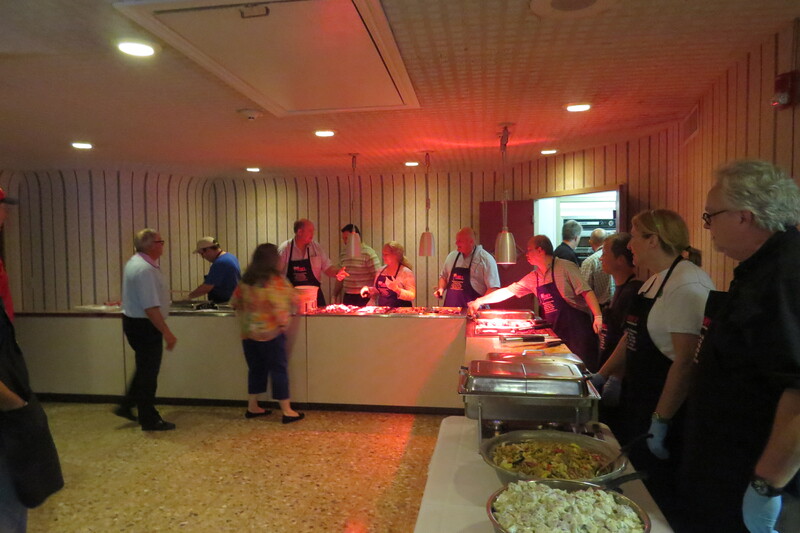 Why should you use 100% food-grade wood pellets? 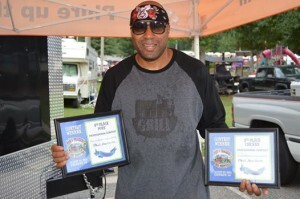 Why should you use 100% food-grade pellets in your pellet grills and smokers? 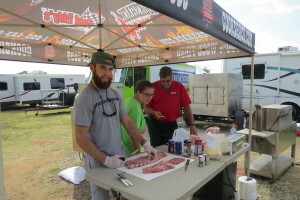 Cookshack barbecue pellets are made from hardwoods that contain fewer resins and the pellets are produced in a controlled process to ensure a food grade product. Our food grade pellets are made by pulverizing and drying hardwood sawdust and extruding to an uniform density through a rotating die under enormous heat and pressure (250° F @ 3,000 PSI). The pellets get their shape from the naturally occurring lignin in the wood. 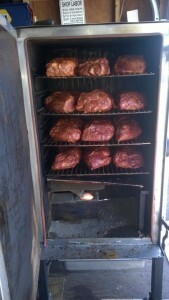 The pellets are cooled and placed in 20 lb. bags. Food grade pellets contain fewer fillers and have less moisture content and ash than pellets used in wood burning stoves and furnaces. Pellets used for stoves and furnaces will also sometimes contain a gluing agent or something to bind the pellets together that is not food grade quality as required by the USDA. Pellets manufactured for wood stoves are available in two grades: premium and standard. Standard pellets are made from forest waste and contain branches and bark. 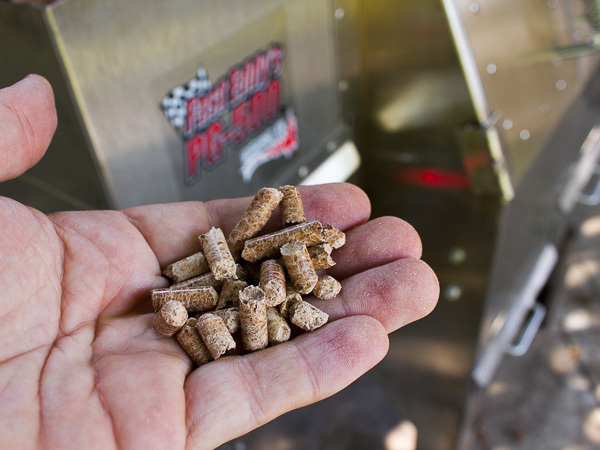 You want to look out for bark content because bark content in pellets affects the BTU. Performance quality is vital to get the right results! Food grade pellets are clean-burning that produce very little ash with a low creosote buildup. Oak – works with pork, red meat, fish, and game meats; it is more subtle than hickory and stronger than fruitwoods. Quantity discounts are available. 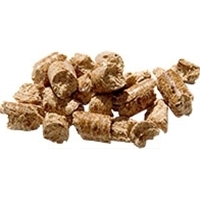 Pellets are easily obtainable, inexpensive and easy to store as compared to traditional logs. We recommend storing pellets in a dry well-ventilated area. 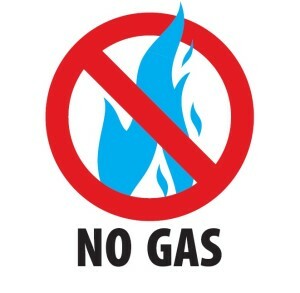 Do not store wood pellets near potential ignition sources. 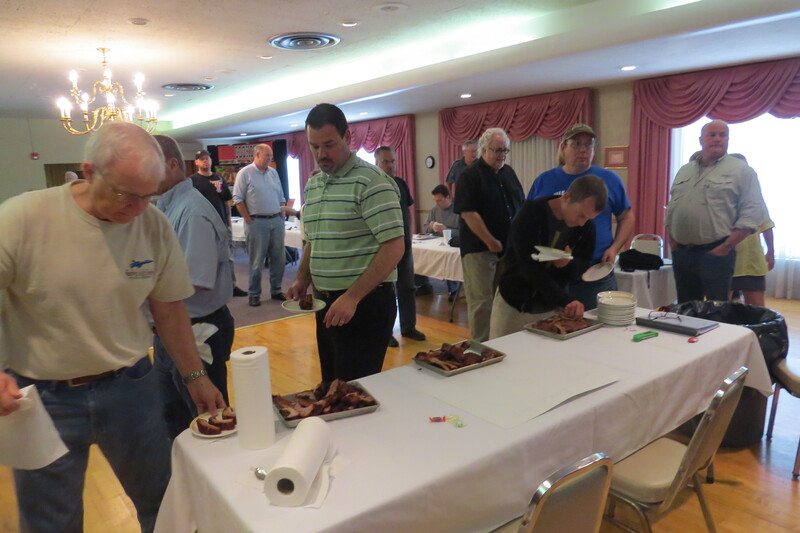 Food grade wood pellets burn more efficiently than raw wood used in stick burner pits. 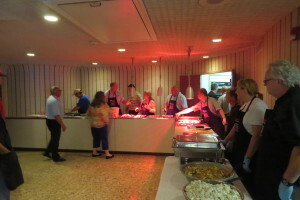 Wood pellets are a superior cooking technology, providing the best cooking platform for barbecue recipes. 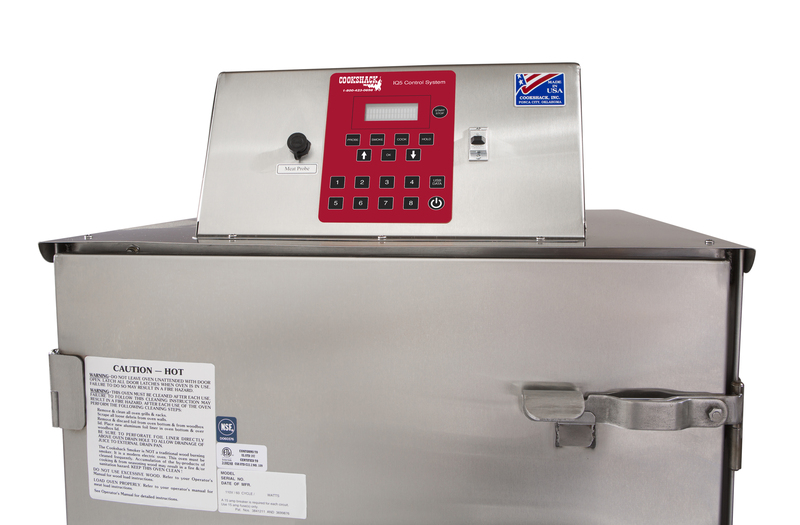 In order to maintain your warranty in Cookshack products, food grade pellets must be used in the units. 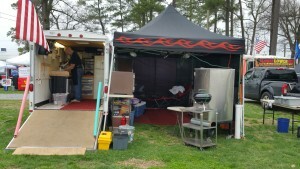 This entry was posted in FAQs and tagged ash, barbecue, commercial, Cookshack, FEC100, food grade pellets, lignin, pellet-fired grill, pellet-fired smoker, pellets, PG1000, PG500, wood pellets on February 4, 2015 by admin.